Lost: Christmas on Lost Island! December 2010 contest 1st place winner! Lost: December 2010 contest 3rd place winner! 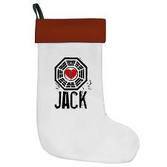 All Jack and Kate need for Christmas is each other. Lost: December 2010 Contest submission. 'Hold still, wait for the click, you're in this years Christmas pics'.Merry Christmas! Lost: A granted wish for Becca. Jack and Kate are devastated when one of their child gets sick with cancer. Thanks to Kat for the vid pic. December 2010 contest submission. Contest: "We Wish You A Merry Christmas"
Christmas time is here again, and here at LVI we want to see just how Christmas-y you can be! The challenge this month is simple - make a Christmas video about our Losties! Anything goes, as long as it puts you (and us) in the Christmas spirit! You can show Desmond & Penny have a family Christmas with young Charlie, or a Christmas romance with Sun & Jin! AUs are welcome - you could make a vid showing Claire & Miles celebrating the holiday with the children! Your video can be on-island, off-island, set in the past, present, or future. � - Make a Christmas video to a Christmas song. � - No trailers, OCs (Original Characters), or crossovers, with other fandoms. � - Footage of Lost actors in other roles is allowed. � - When entering your video on the Submit page, you MUST enter "December 2010 contest submission" exactly in your vid's description.